The Station will be hosting ‘Coffee and Acoustics’ Saturday, March 10, featuring music by Jacksonville singer-songwriter Johnnie Helm. Owner Tammy Hassell said the event will be held on a quarterly basis. Courtesy Photo. GRAPELAND – Looking for a laid-back way to spend a Saturday evening? 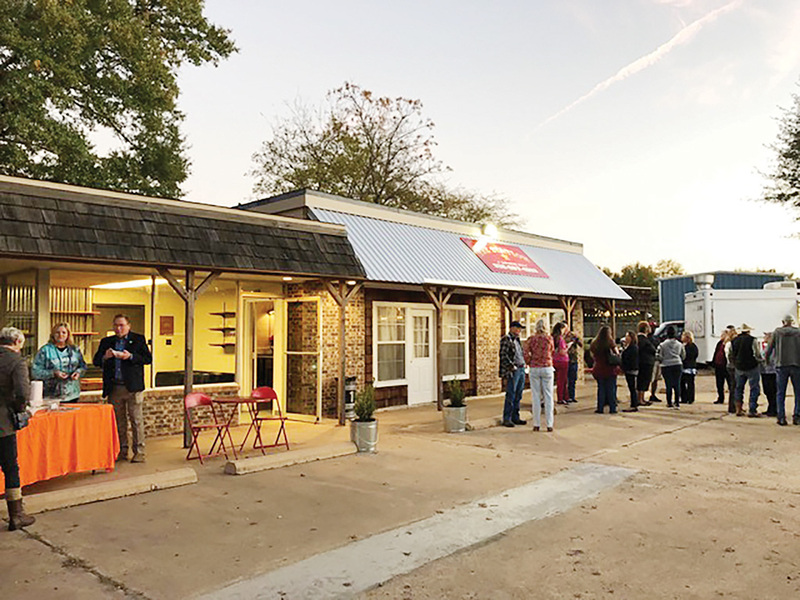 Look no further than The Station, one of Grapeland’s newest event venues, which is gearing up to host the community for “Coffee and Acoustics” Saturday, March 10. As Hassell explained, dinner will be available for purchase at the taco truck located in front of The Station. Musical entertainment will be provided by singer-songwriter Johnnie Helm of Jacksonville. Hassell said the event will be held on a quarterly basis. “The second Saturday in June, we’ll have another one, and our four-piece Highway 19 Band will be playing, and we’ll have the coffee and desserts as well,” she divulged. Hassell also mentioned that The Station is available for rent for gatherings such as baby showers and reunions for a price of $140. For more information, contact The Station at 936-687-4903. Those interested in keeping up with future events are encouraged to “like” The Station on Facebook.